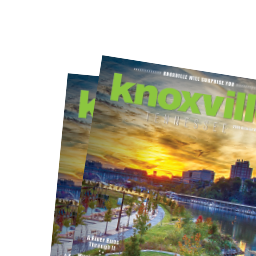 If you’re travelling with pups during the holidays, Knoxville has some pretty amazing dog parks that help those little bundles of energy get plenty of quality playtime. The parks are well designed with benches and separate areas for small and large dogs so you can sit back and enjoy the entertainment of your frolicking pooch or get right in the middle of the action with them. It may be a bit too chilly for you to take the plunge, but dogs still love the swimming areas at some of our dog parks like the one at Concord Park, where dogs can run and jump off a dock into the lake. 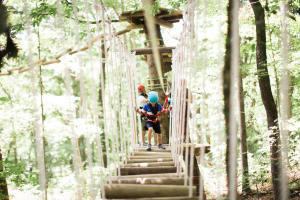 For a little organized and elevated fun in Knoxville’s Urban Wilderness, Navitat at Ijams Nature Center offers canopy tours, where you’ll ride ziplines and walk among the treetops through nets, bridges, and tunnels. Each Friday and Saturday night during the fall, hours are extended so you can go on these exciting adventures under the stars, winding through twinkle lights in the trees! 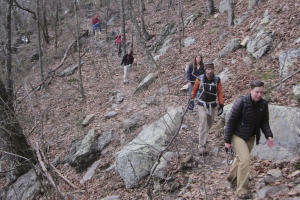 This classic Knoxville hike takes you to the highest point in the county where you can see the mountain ranges surrounding in every direction. Hikes like these are great this time of year because autumn leaves make for a beautiful show and when they fall, you can see even farther from the ridge-top trails! Another plus is that mosquitoes and other bugs have died off for the season, making for a more pleasant walk through the woods. 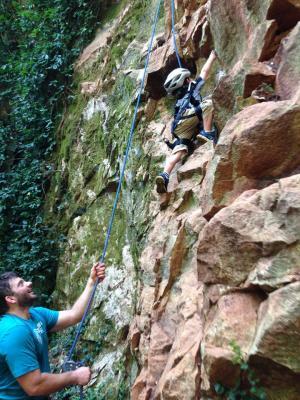 For families with basic rock climbing and safety skills, the Ijams Crag is a great place to play and learn together. With a set of practice anchors and bolts close to the ground and routes starting at a 5.5 rating, kids can get their start at climbing and work their way up. With a total of 33 routes including some really tough roof climbs, adults will find a satisfying challenge too. New to climbing? 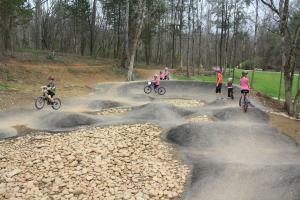 We have some great gyms around town with lessons.